+++SOLD+++ JUST TRADED! 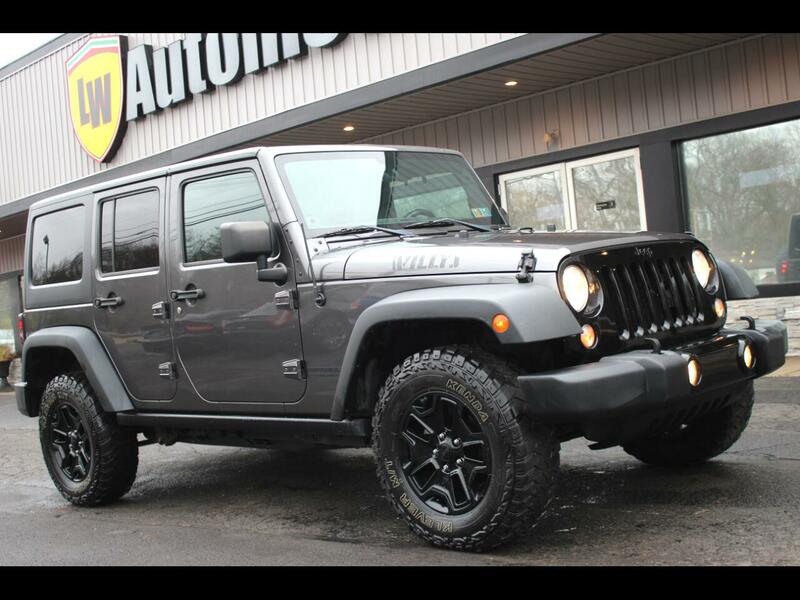 2014 JEEP WRANGLER WHILLYS WHEELER UNLIMITED 4WD SUV FOR SALE. 6 SPEED MANUAL! NICE COLOR COMBO! VALID PA INSPECTION AND EMISSIONS THROUGH 9/19. WE SHIP NATIONWIDE! LOCATED AT LW 2 9234 PERRY HWY PITTSBURGH PA 15237. TO VIEW THE MOST PICTURES VIDEO OR FREE CARFAX GO TO WWW.LWAUTOMOTIVE.COM.